Real fun catching up with @thePaulMcDonald @NikkiReed_I_Am and @STEFANOLANGONE last night! Good times for sure! Had a blast last night jamming with @STEFANOLANGONE @ScottyMcCreery and @NikkiReed_I_Am...some pretty funny stuff we came up with! @thePaulMcDonald @stefanolangone @scottymccreery I have a pretty awesome video from last night. I'm holding it for ransom. 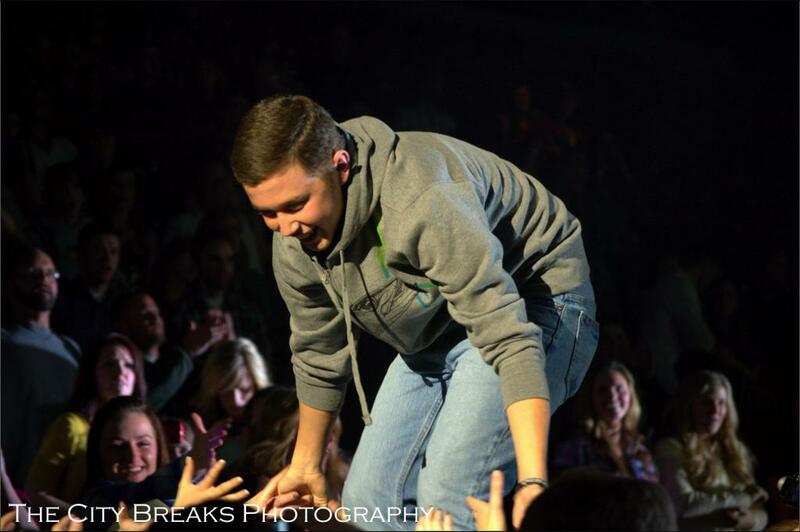 Fans at the University of Antelope Valley Events Center demanded Scotty McCreery return to the stage on Sunday night, and the 18-year-old singer obliged with a song — other than his own single — about trouble. The following fan shot video, submitted by our Twitter followers, shows McCreery performing Travis Tritt‘s ‘Trouble’ for an encore at his show in Lancaster, Calif. 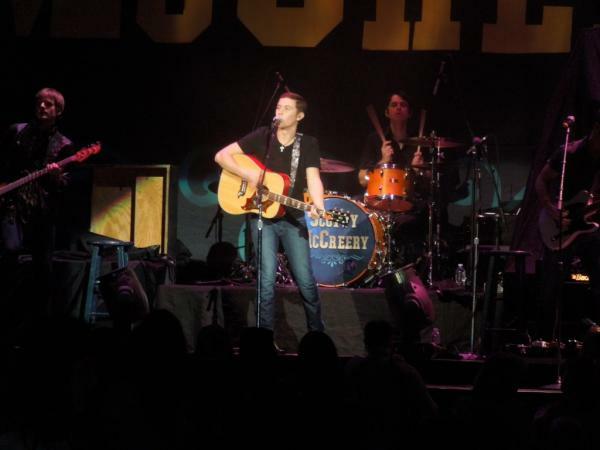 This isn’t the first time McCreery has covered the ’90s hitmaker. He auditioned for ‘American Idol‘ with Tritt’s ‘Put Some Drive in Your Country,’ and chose ‘Can I Trust You With My Heart’ during the Year You Were Born round of the reality show. As previously reported, he also covered songs by George Strait, Elvis Presley and the Soggy Bottom Boys during the California show. 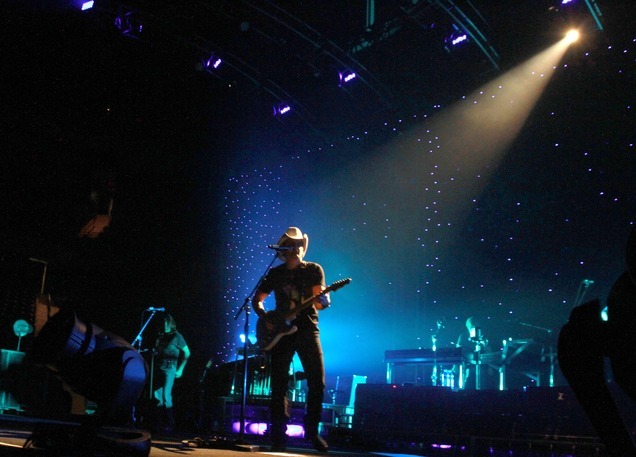 McCreery has almost two weeks to spend at home before returning to Brad Paisley’s Virtual Reality Tour on Feb. 9 in Spokane, Wash. The high school senior still calls Garner, N.C. home, and he is finishing up his school year at Garner High School before deciding which college to attend in the fall. EDIT: FINAL NUMBERS ARE IN!!! Clear As Day was released 17 weeks ago and it's still going strong! 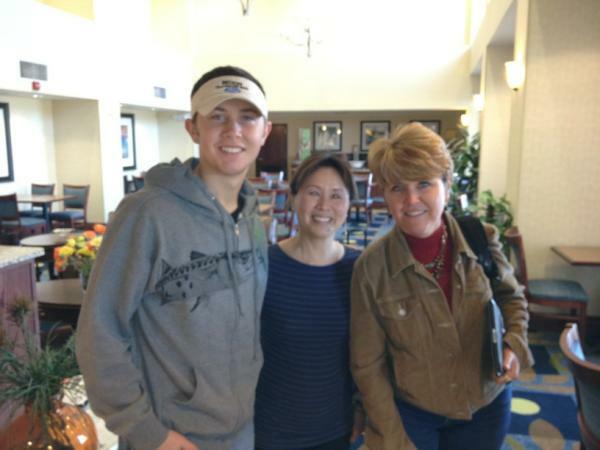 Thank You @MelissaIlene13 for allowing us to post your story on Fansofscotty.com. 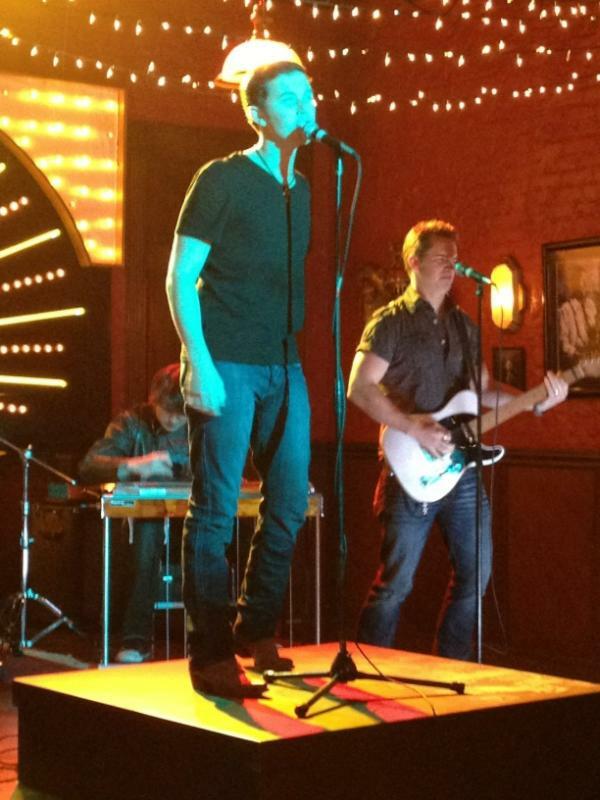 Well McCreerian's get your Kleenex box out because you are going to need it! I read this story and my heart just melted and the tears flowed. Just when you think you can't love this boy anymore, he goes and does something like this! 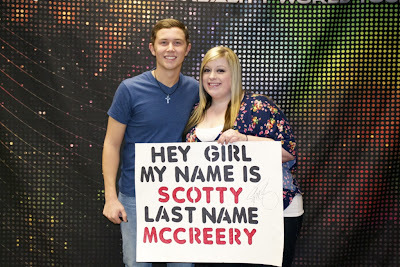 Scotty is always saying how much he appreciates his fans and this story shows that he really does care about his fans. 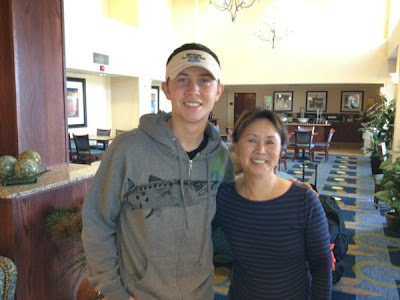 Thank you once again Scotty McCreery for reminding us exactly why we have come to love you so much. When he was given the title, I cried. I was so happy that he won. He truly deserved it and, I completely idolized him by the time the season was over. 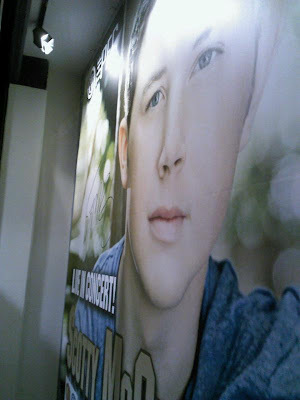 I wanted nothing more than to see him in concert. 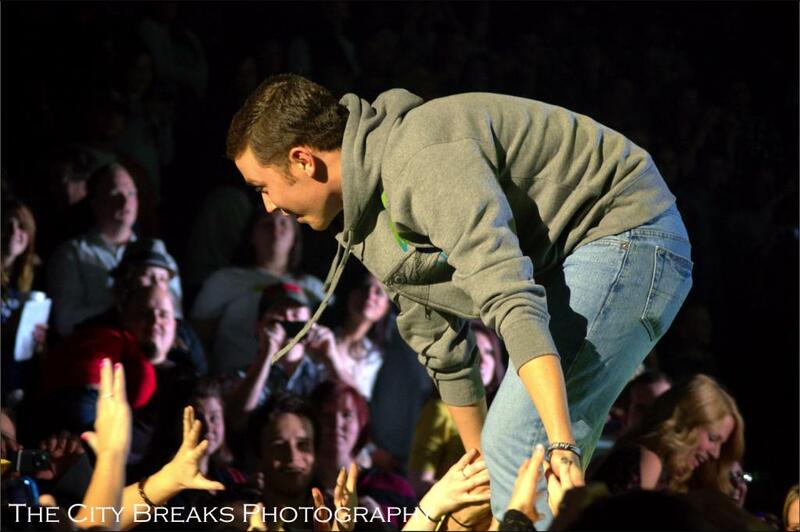 I would tell my family that I just wanted to be close enough to reach out and, touch his hand. My mom wrote the DJ a letter telling him my story, all I’ve been through and, had to overcome. (I have Cerebral Palsy! I haven’t been able to walk without assistance, since birth. Doctors told my then teenage mother, that I’d never amount to anything in life. I guess I proved them wrong because, I’m nearly a high school graduate with huge plans to go straight to college and become an entertainment journalist.) Anyway, enough back story. Hahaha! Today, I woke up knowing that tonight, I’d be meeting somebody I idolize. My sister got up and, we spent hours in the bathroom while she did my hair and, makeup. 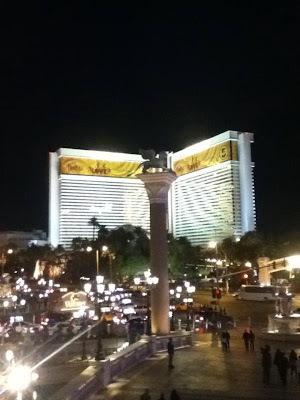 After everyone was ready, we headed over to the venue. I had butterflies all day and, they only intensified when we arrived. After along wait Craig EC came up and told us that Scotty would come and meet us down stairs apart from all the others because, I couldn’t go up stairs like everyone else. My mom and, sister got their cameras ready because, they wanted to record my meeting with him. Finally, Scotty made his way down the stairs following Craig EC and, Security. He walked straight up to me and, held out his hand. I took it and, by that time, I was on the verge of tears. He then ASKED PERMISSION, before hugging me. I hugged him and, I said: “I love you!” I was choked up and, fighting back tears. He then replied: “Awe, thank you! I love you too.” I WAS DYING INSIDE. TRYING SO HARD NOT TO COMPLETELY LOOSE IT. 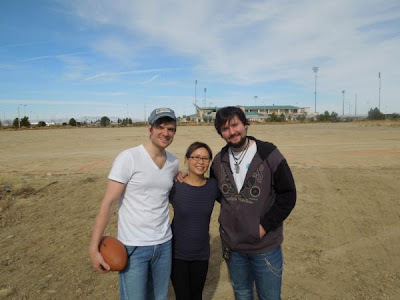 Then he took pictures with both my sister and, I. Then my mom, asked him if we all could take one together. He smiled and, said “Of course! Of course!” Security, was rushing him but, he didn’t care. Then he signed both of our Passes and, told me he’d be looking out for me in the crowd. He gave me another hug and, started to walk away. He noticed he had forgot to hug my sister again and, ran back to hug her. After we met him, he performed a full setlist of songs. (Without a break.) I knew every single word to all of his songs. He dedicated “The Trouble With Girls” to us California Girls. <3 After running through the setlist, he came out for an Encore. Then it was all over as quickly as it began. Tonight, was the best night of my existence. I will never forget a moment. The way he treated me. 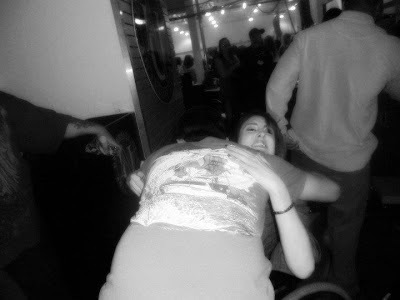 The way he hugged me. He was so, so, so, genuine. He didn’t have to tell me he loved me but, he did. He didn’t have to come down and, meet me downstairs but, he did. EDIT: I ADDED A DIFFERENT TROUBLE VIDEO THAT IS CLEARER! If Scotty McCreery‘s time on ‘American Idol‘ didn’t prove that he’s capable of covering just about any song ever recorded, his stage show will. The singer played ‘Man of Constant Sorry’ by the Soggy Bottom Boys during a show in Lancaster, Calif. on Sunday night, as seen in the video below. 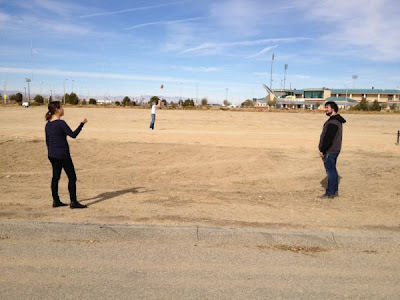 The gig at the University of Antelope Valley came after a weekend of shows on Brad Paisley‘s Virtual Reality Tour. According to MjsBigBlog.com, 1,600 fans packed the Pioneer Events Center. 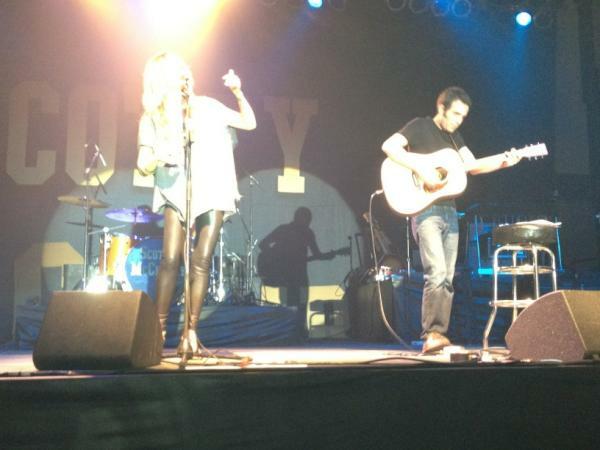 The singer’s set list also included covers of songs by George Strait, Elvis Presley and Travis Tritt. 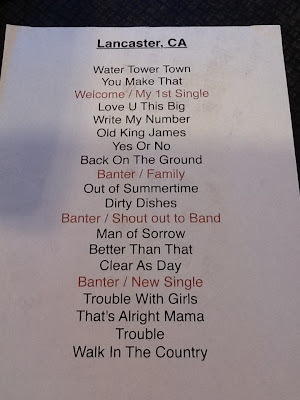 It seems that ‘Your Man’ by Josh Turner has been purged from his set list. McCreery’s version of the song from the ‘O Brother, Where Art Thou?’ soundtrack is well-rehearsed, down to the theatrical introduction (those who’ve seen the movie will recognize what he’s trying to do). The nearly four-minute long clip includes a banjo, guitar and bass solo, and of course McCreery was spot on with the lyrics. 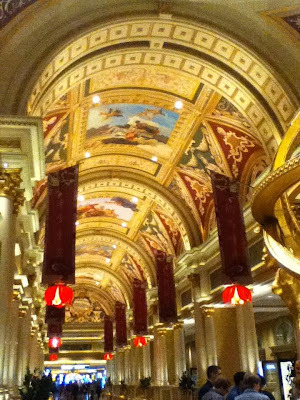 WOW - WOW - WOW is all I can say! 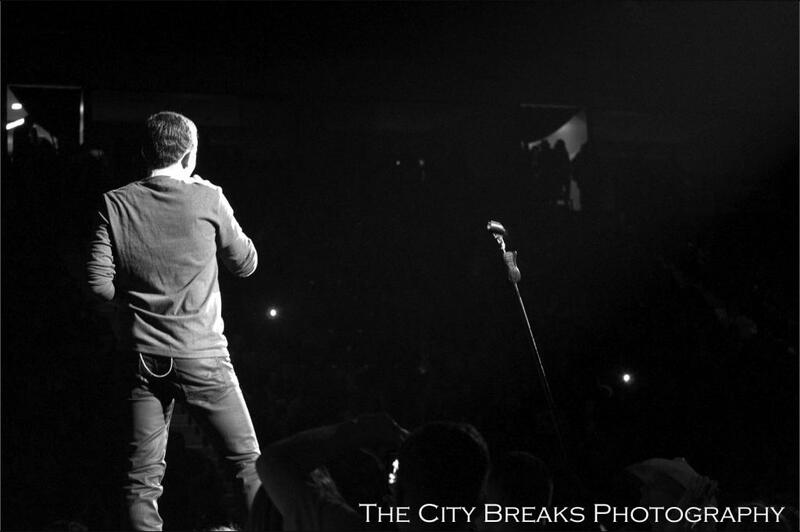 Scotty sang to a sold out crowd for his first solo concert and they absolutely loved him! 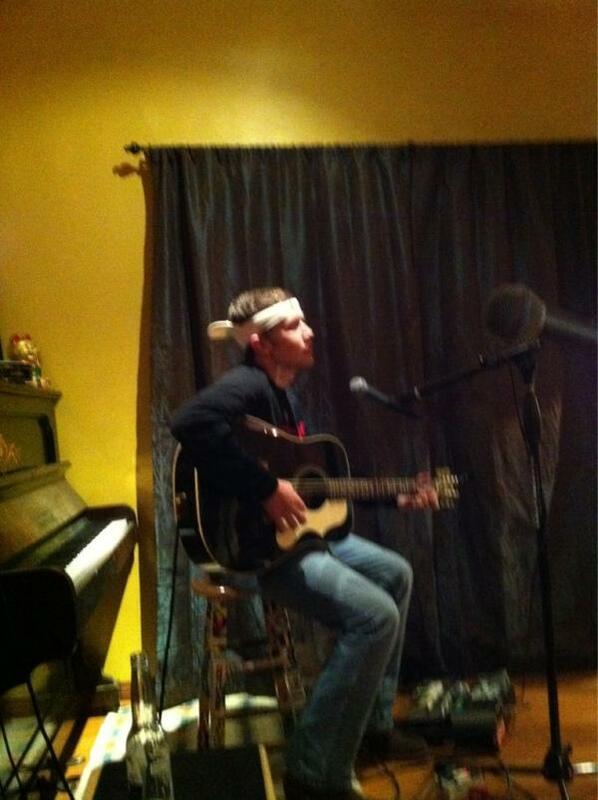 Love hearing the screaming girls and the people singing along with him! Congratulations Scotty for such a successful solo concert - this is the first of many more to come! I apologize for making such a big post - but I wanted to get as many on here as I could before I headed out to work this morning! ENJOY they are amazing! 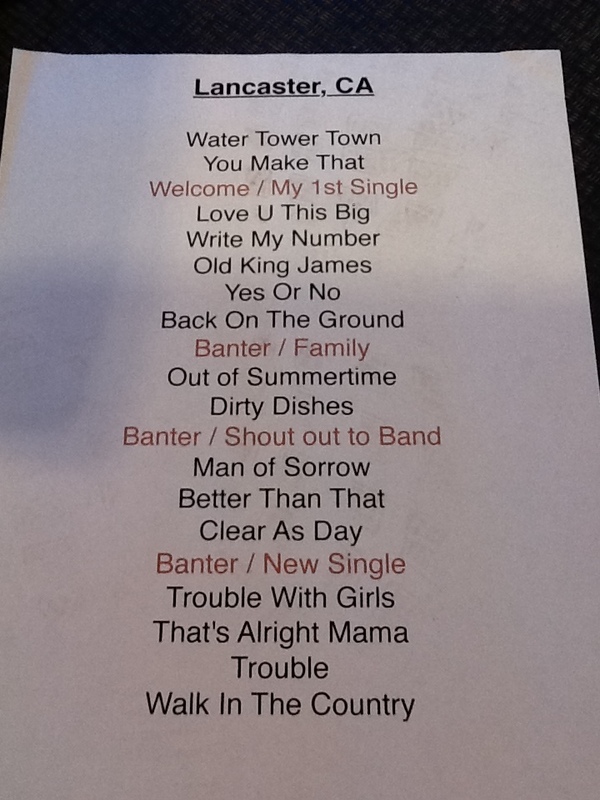 Scotty's songs he will be performing tonight. @jeffreyharper ty for chatting with me and my husband. Please say thanks for us to Tripper. Here are some pictures that were posted in the Fans of Scotty chat room they had been tweeted by fans that were at the concert tonight. 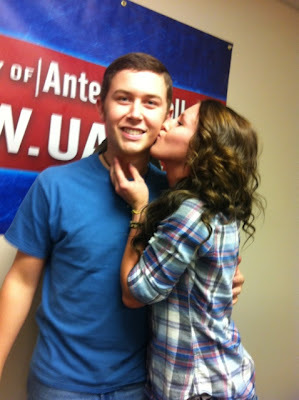 Looks like the ladies are loving Scotty tonight! TTWG has now moved into the top 20 on Radio Charts!! @LindaChen168 is a frequent visitor of this site and the chat room. She has given me permission to post her pictures and videos from the concert last night. If you choose to copy any of the pictures & use on your personal pages (facebook, twitter, etc) we ask that you please give her credit for them. Thank you & enjoy. 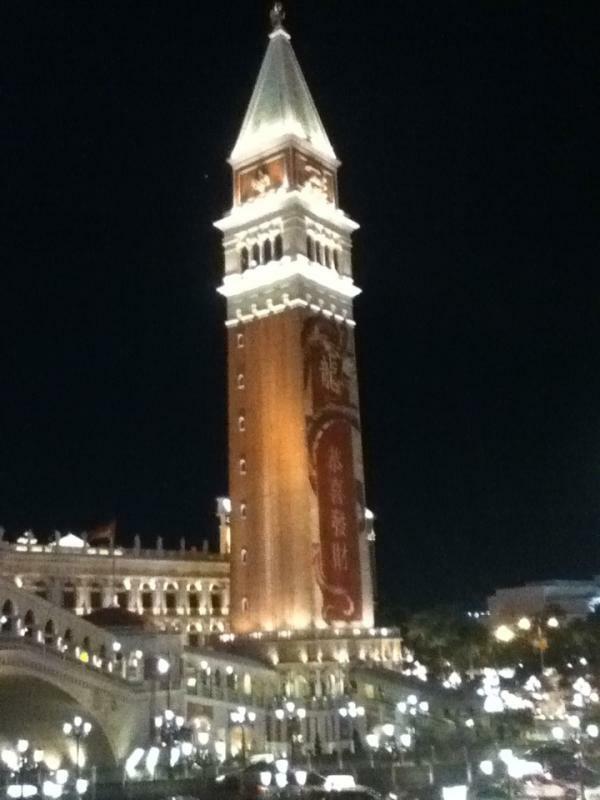 Thank you Linda, for sharing your photos with us. Brad talks about @ScottyMcCreery starting around 2:30 mark. Brad is hilarious. 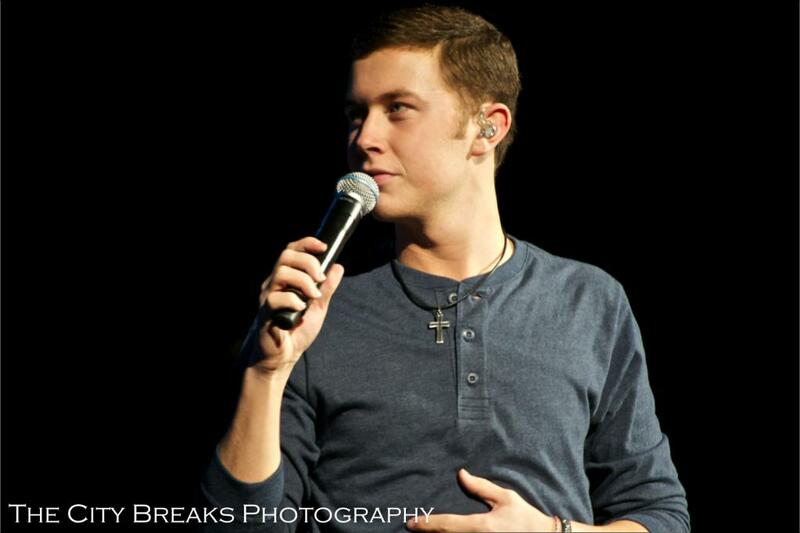 Fans screamed when he mentioned Scotty. 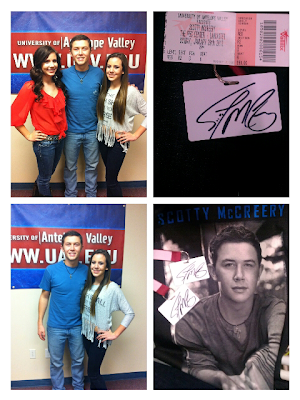 One of the best nights of my life thanks to @ScottyMcCreery! Thank you for everything brother! 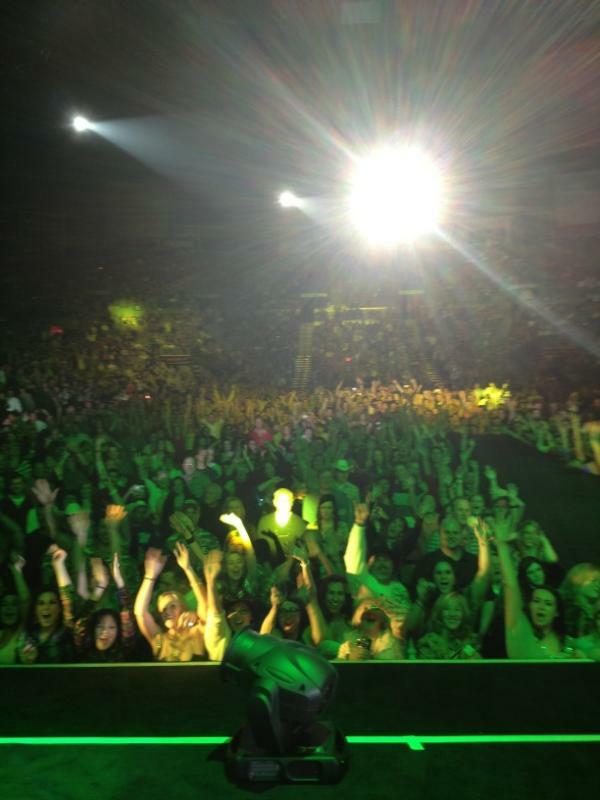 Not tonight cause its a little late, but we'll get one going here soon..
Love yall! Ive said it before, but yall never cease to amaze me. I owe it all to yall n imma keep working my tail off for you..
Robby is one of Scotty's friends from Garner and looks like he's taking a tour of Las Vegas and decided to tweet pictures along the way! So I got to the arena around 2:30pm, I went the show all by myself but luckily I met 3 girls there and made friends lol. 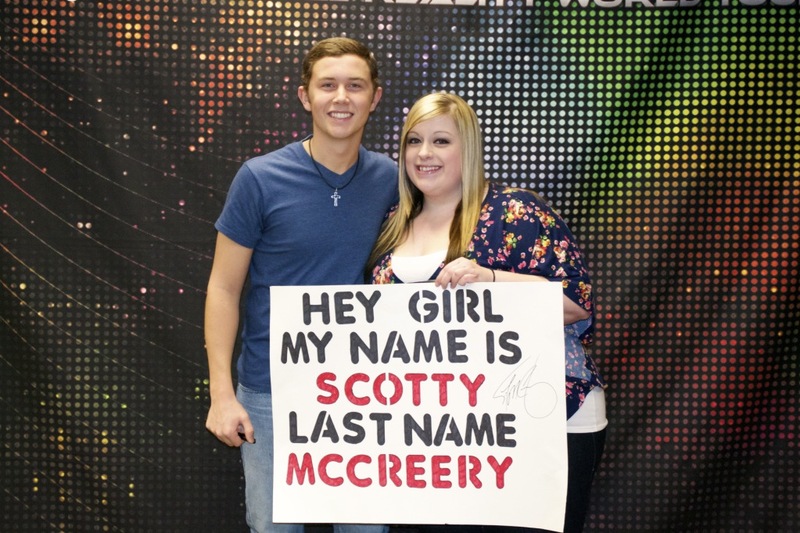 I brought poster I made for Scotty, it said "Hey Girl, My Name is Scotty..Last Name McCreery" cause of the song Charlie Last Name Wilson haha. 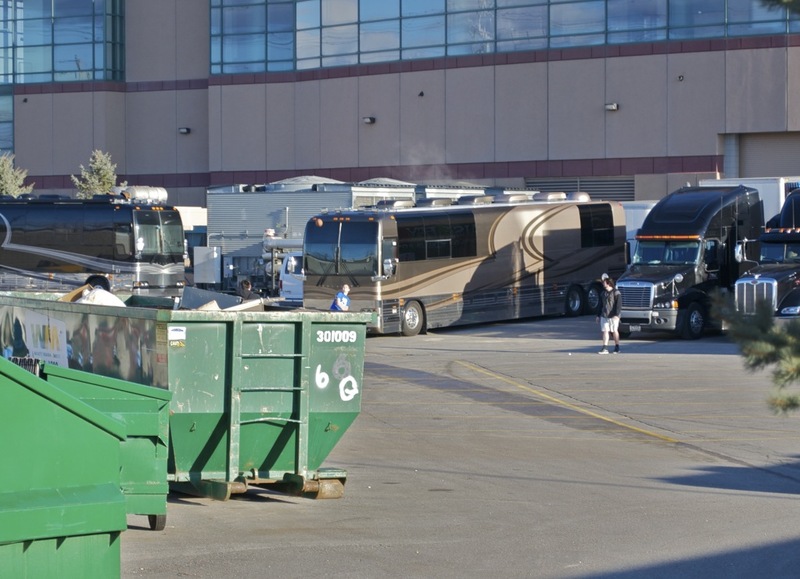 So we stood outside by the buses waiting for Scotty to come out for hours. He finally came out around 4:00pm and played football with his band members for like 5 minutes and then went inside. 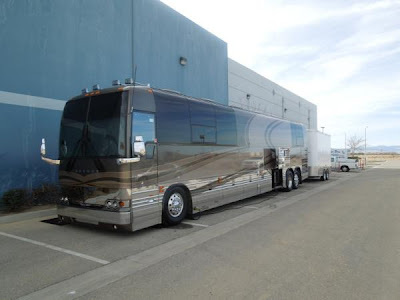 They were wearing t-shirts and shorts and it was freezing, so they went inside the bus again. 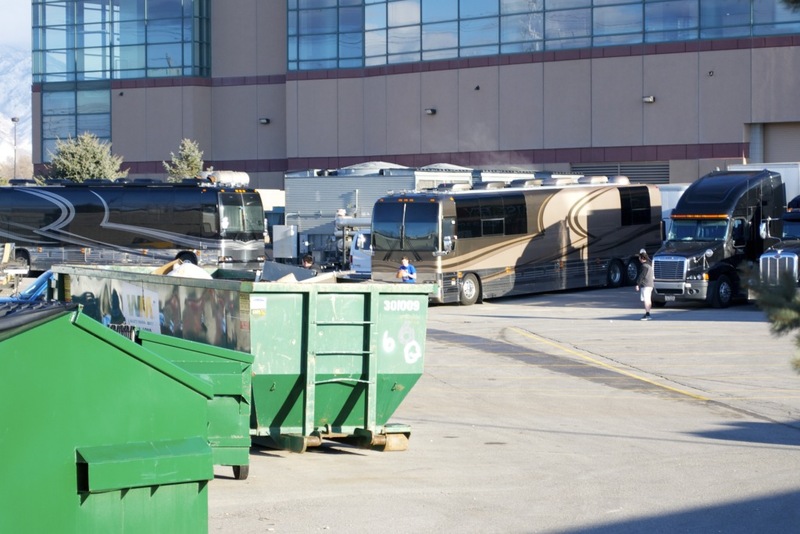 But Scotty saw us 4 fans waiting but he never came over...I was really disappointed. 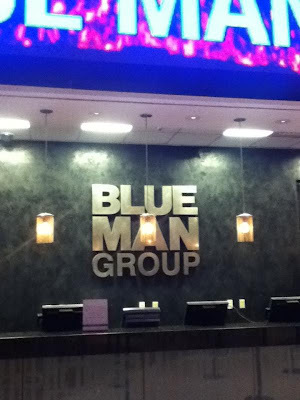 So we kept on waiting and waiting and he never came back out. 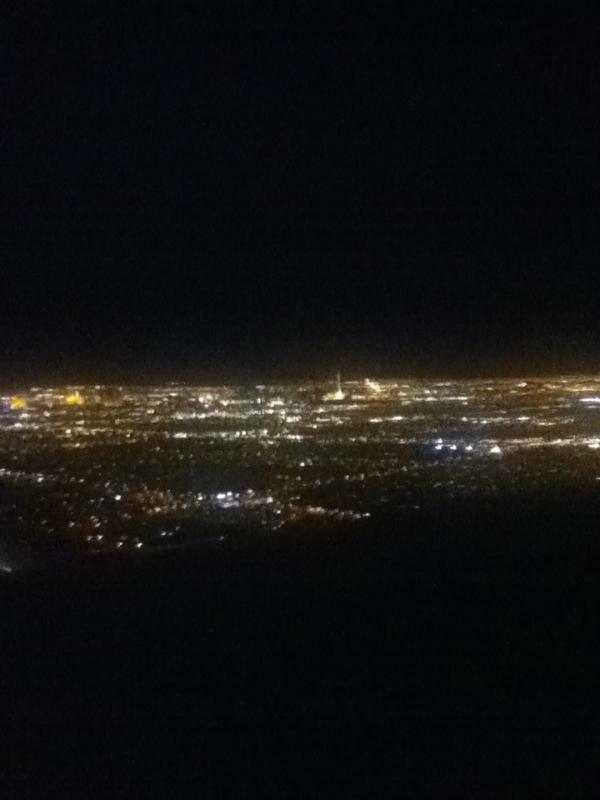 But omgsh it was SOOOOO cold! I stepped in the grass and it was wet, so my moccasins were soaked completely through with water. It was horrible haha. I finally gave up and went to my car, drove across the street and bought new boots from Cracker Barrel because my feet were freezinggggg haha. So then once my feet warmed up, I went over to the radio stations to try and win backstage passes because they were giving them out. I tried to win a bunch of games but none of them were working and they stopped giving out Scotty passes and went onto The Band Perry. So I ran around to all the stations and asked them if they had passes, and they said no..that they had already given them all out. Well I walked away defeated and was walking to the arena to go get seated, when this lady came out to me and pointed to my poster and said.. "Do you wanna meet him?" and I'm like "UHHH YES!!!!" haha So she gave me a pass and told me to run into the arena real quick if I wanted to meet him. But the concert was amazing ya'll! 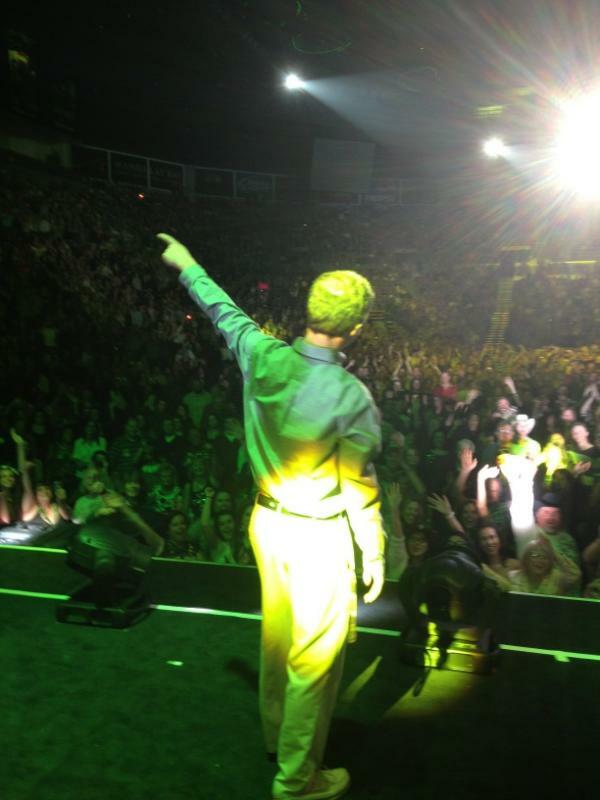 The crowd loved him and the girls screamed like crazy for our boy when he came on stage. He looked so happy and in his element when he was performing. 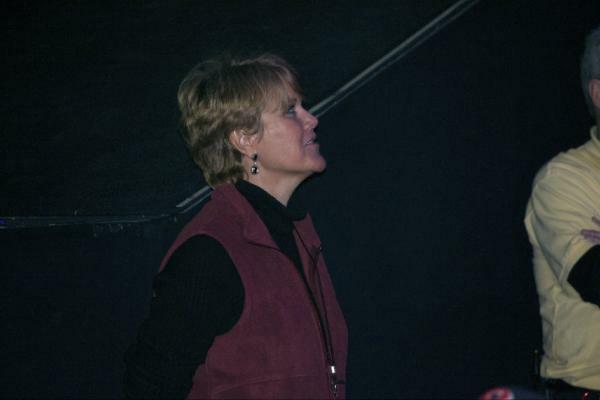 Mama Judy was on the side the of the stage singing along to every single song..it was adorable!! After Scottys set the security came over to me and told me, if pulled my camera out again he would kick me out because it was too professional. 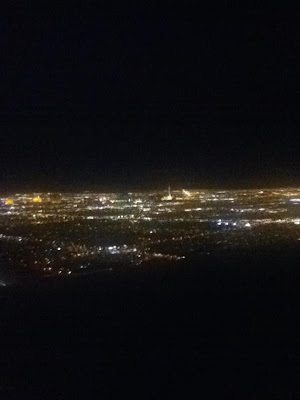 But it was dumb because they never even checked my bag..so thats not even fair! So I had to record Celebrity on my iphone so the quality isn't as great or anything. 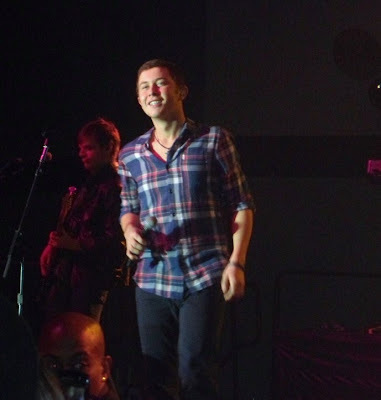 But when Scotty came out for Celebrity, everyone freakedddddd out. Seriously, the crowd loves our boy!!! Brad kept on talking about Scotty during the show, he said "High school is not the best years of your life. you have no idea what great things are to come once you graduate. 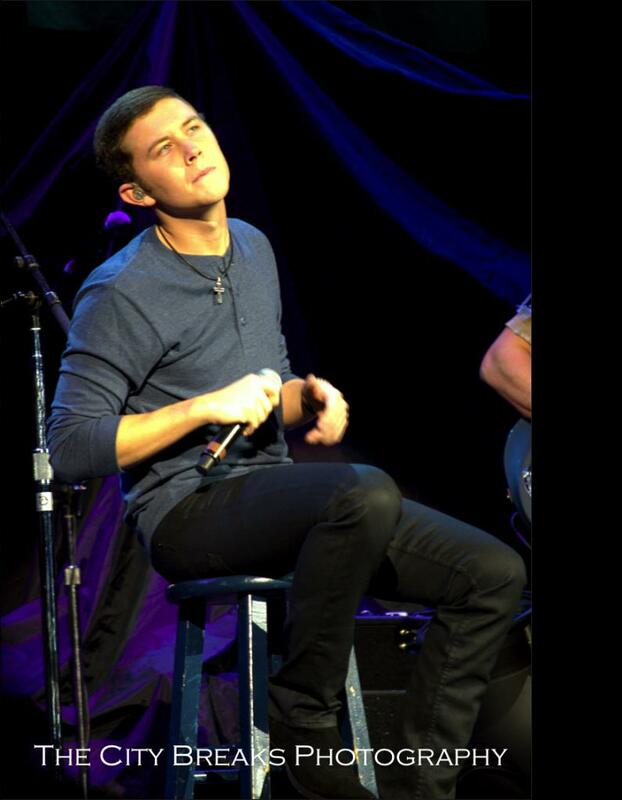 even you Scotty"
Everyone went awwwww! it was really sweet, cause Brad was so sincere when he said it, I wanted to cry! I think thats it for my review. I'll post more later if I remember...but I'm still so tired from last night. I received permission from @annmarie_moore to post her pictures from the concert last night. If you choose to copy any of the pictures & use on your personal pages (facebook, twitter, etc) please give her credit for them. Thank you & enjoy. I love this black & white picture! Here is a link to view the other pictures she took at the concert last night! Is Scotty McCreery the next male star destined for superstardom? Thanks for the heads up about this poll in the comments section! This is a poll that Country Weekly is taking - Scotty will not win anything if he wins it - they are just trying to see who fans think will be the next Super Star! Who is the next male artist destined for superstardom? 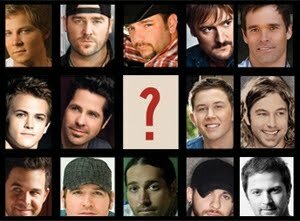 There are so many exciting new male artists out there creating a buzz in country music. Some already have hits while others are entirely new to the scene. Who do you think is the next male artist destined for superstardom? Cast your vote below! Poll ends Feb. 5. Thanks Angela for telling us about these videos! 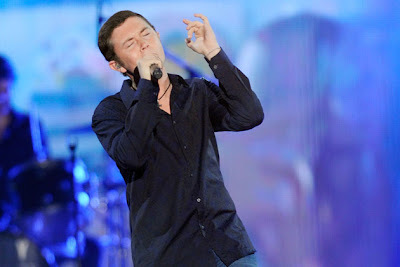 West Valley City » Start with Scotty McCreery, the latest American Idol. Add fast-rising stars The Band Perry. Finish with country superstar Brad Paisley. And mix with the electricity of a sold-out Maverik Center. What you had Friday night was nirvana for thousands of music fans. 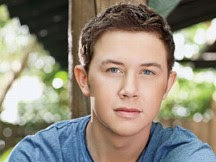 Scotty McCreery joins some of countrys brightest stars as a semi-finalist for New Artist of the Year at the 47th Annual Academy of Country Music Awards, going up against artists like Justin Moore, David Nail, and Thompson Square. The award show, which will be broadcast live on CBS on Sunday, April 1st, is letting the fans decide who should win the New Artist of the Year title. The first round of fan voting is now live, and will continue until January 30th. 3 finalists will be chosen in February, with final round voting beginning on March 19th and ending the day of the show on April 1st. 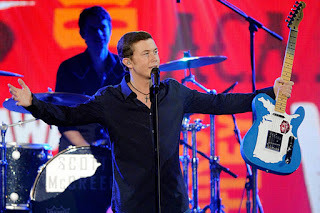 Fans can cast their vote for Scotty in the New Artist of the Year category now by heading over to www.VoteACM.com. 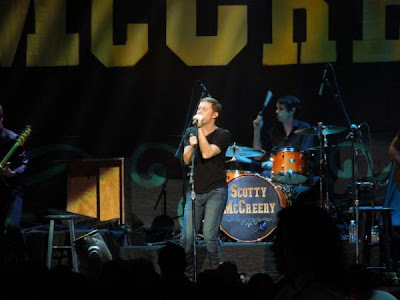 Scotty's debut album, Clear As Day, was certified platinum earlier this month and spent 6 weeks at #1 on the Top Country Albums chart, as well as peaking at #1 on the Billboard 200. Clear As Day is also the second best selling American Idol debut album of all-time behind Clay Aiken's Measure of a Man. Scotty McCreery makes Taste of Country's Best Tweets of the week! Looks like Taste of Country should've waited just a little bit longer to pick their tweets of the week - because Scotty scored even higher on Temple Run! @DurbinRock @thePaulMcDonald @STEFANOLANGONE @CaseyAbrams Im in salt lake today n just took a shower where @Jacob_Lusk got doused w/ ice! @Jacob_Lusk hahah, alright jacob! 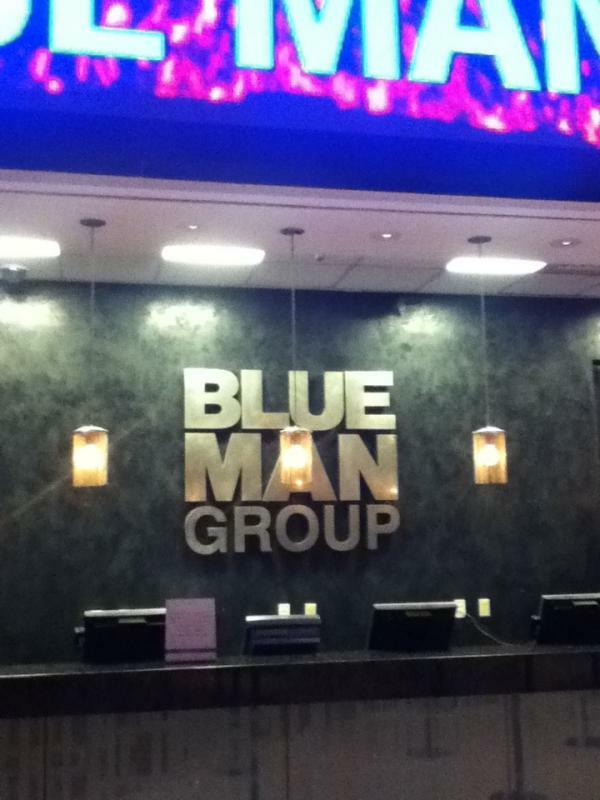 You'll have to think of something good when we all get together for the reunion..